Az alábbiakban a könyv megírásához felhasznált szakirodalom olvasható az ÖkoBal-blog tematikájához igazítva. Agyeman, Julian – Bullard, Robert D. – Evans, Bob (2003): Joined-up thinking: bringing together sustainability, environmental justice, and equity. In: Agyeman, J. – Bullard, Robert D. – Evans, Bob (szerk.) (2003): Just sustainabilities: development in an unequal world. Cambridge, MA, MIT Press, 1–18. Agyeman, Julian (szerk.) (2010): Speaking for ourselves: environmental justice in Canada. Seattle, WA: University of Washington Press. Antal Attila (2014): Környezet, igazság, alkotmány. Népszava, Szép Szó 2014. augusztus 23. Beckerman, Wilfred – Pasek, Joanna (2001): Justice, Posterity and the Environment. New York, Oxford University Press. Benton, Ted (szerk.) (1993): Natural Relations: Ecology, Animal Rights and Social Justice. London, Verso. Bullard, Robert – Wright, Beverly (szerk.) (2009): Race, place, and environmental justice after Hurricane Katrina. Boulder, CO, Westview Press. Gál Róbert Iván – Gulyás Attila – Medgyesi Márton (2011): Intergenerációs alkotmány. TÁRKI Zrt. – Nemzeti Fenntartható Fejlődés Tanács Műhelytanulmányok – No. 5. Hajdu Gábor et al. (2010) (szerk. ): Környezeti igazságosság Magyarországon. Védegylet. Mohai, Paul – Pellow, David N. – Timmons, Roberts (2009): Environmental justice. Annual Review of Environment and Resources, 34, 405–430. Novotny, Patrick (2000): Where we live, work and play: The Environmental Justice Movement and the Struggle for a New Environmentalism. Westport, CT, Praeger. Page, Edward (2006): Climate Change, Justice and Future Generations. Cheltenham, Edward Elgar. Schlosberg, David (2003): The justice of environmental justice: reconciling equity, recognition, and participation in a political movement. In: de-Shalit, Avner – Light, Andrew (szerk.) (2003): Moral and political reasoning in environmental practice. Cambridge, MA, MIT Press, 77–106. Schlosberg, David (2004): Reconceiving environmental justice: global movements and political theories. Environmental Politics, 13 (3), 517–540. Schlosberg, David (2007): Defining environmental justice. Oxford, Oxford University Press. Schlosberg, David (2013): Theorising environmental justice: the expanding sphere of a discourse. Environmental Politics, 22:1, 37–55. Sze, Julie – London, Jonathan K. (2008): Environmental justice at the crossroads. Sociological Compass, 2 (4), 1331–1354. Walker, Gordon (2009): Globalizing environmental justice. Global Social Policy, 9 (3), 355–382. Antal Attila (2009): A környezeti demokrácia elmélete és gyakorlata. Politikatudományi Szemle, 4. 82–101. Antal Attila (2010a): A környezeti demokrácia Magyarországon – Alkotmányos alapok. Közjogi Szemle 3. 46–51. 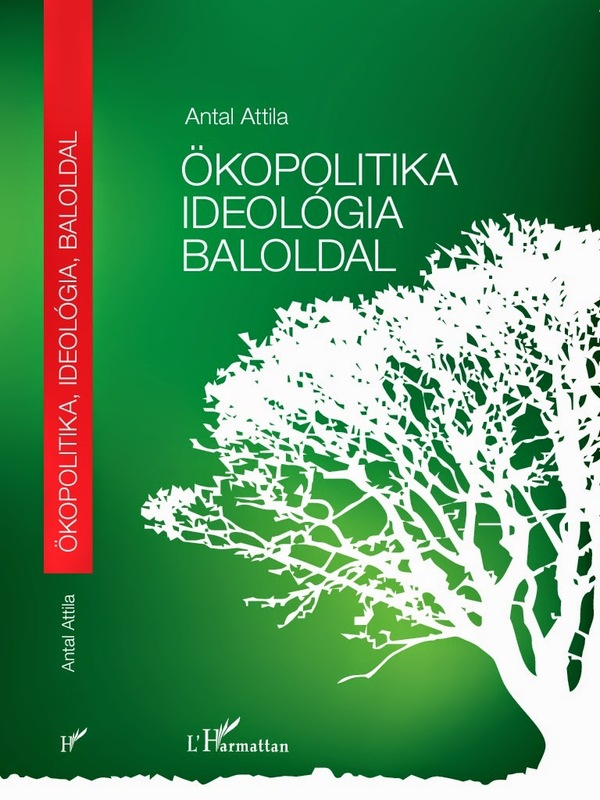 Antal Attila (2011): Az új Alaptörvény környezetvédelmi filozófiája. Közjogi Szemle 4. 43–51. Antal Attila (2012): A jövő nemzedékek érdekei az Alaptörvényben. In: Verebélyi Imre (2012): Az állam és a jog alapvető értékei a változó világban. A Széchenyi István Egyetem Állam- és Jogtudományi Doktori Iskolájának konferenciakötete, Győr 13–21. Antal Attila (2013a): Az Alaptörvény környezetvédelmi filozófiájának vakfoltjai. In: Drinóczi Tímea – Jakab András (2013) (szerk. ): Alkotmányozás Magyarországon 2010–2011. Pázmány Press. Budapest–Pécs. 13–29. Mason, Michel (1999): Environmental Democracy. London, Earthscan. Antal Attila (2010b): Környezetpolitika a pártprogramokban. In: Glied Viktor – Nagy Roland (2010) (szerk. ): Függésben. Kényszerpályán a jövő. Pécs, Publikon Kiadó. 43–74. Faragó Tibor (2013): A hazai környezetügy az elmúlt negyedszázadban: tények és adatok, hazai előzmények és nemzetközi háttér. Garner, Robert (2011): Environmental Politics. The Age of Climate Change. Basingstoke – New York, Palgrave Macmillan. Koloszár Miklós (2002): A környezetvédelem 10 éve Magyarországon (1990–2000). Budapesti Közgazdaságtudományi és Államigazgatási Egyetem Környezettudományi Intézetének tanulmányai. Rakonczay Zoltán (2009): A természetvédelem története Magyarországon. Budapest, Mezőgazda Kiadó. Yale Center for Environmental Law and Policy, Yale University – Center for International Earth Science Information Network, Columbia University (2012): EPI 2012. Environmental Performance Index and Pilot Trend Environmental Performance Index. Yale Center for Environmental Law & Policy, Yale University – Center for International Earth Science Information Network, Columbia University (2014): 2014 Environmental Performance Index. Full Report andAnalysis. Antal Attila (2013b): A demokrácia, a kormányzás és a környezet minőségének összefüggései. In: Acta Facultatis Politico-iuridicae Universitatis Scientiarum Budapestinensis de Rolando Eötvös Nominatae TOMUS XLIX. ANNUS 2012. 185–217. Barret, Scott – Graddy, Kathryn (2000): Freedom, growth and the environment. Environment and Development Economics 5: 433–456. Caney, Simon (2008): Human rights, climate change and discounting. Environmental Politics, 17 (4) 536–555. Fotopoulos, Takis (1997): Towards an Inclusive Democracy: The Crisis of the Growth Economy and the Need for a New Liberatory Project. London, Cassell. Midlarsky, Manus I. (1998): Democracy and Environment: An Empirical Assessment. Journal of Peace Research, Vol. 35, No. 3, Special Issue on Environmental Conflict (May, 1998), 341–361. Payne, Rodger A. (1995): Freedom and the Environment. Journal of Democracy 6 (3), 41–55. Scruggs, Lyle – Rivera, Claudio (2008): Political regimes, democratic institutions and environmental sustainability: A cross-national analysis. A tanulmány az International Studies Assotiation éves találkozóján (49th Annual Convention, Bidging Multiple Divides, San Francisco), 2008. március 26-án került bemutatásra. Ward, Hugh (2008): Liberal democracy and sustainability. Environmental Politics, 17:3, 386–409. Wissenburg, Marcel ( 2009): Liberalizmus. In: Scheiring–Jávor (szerk.) (2009): Oikosz és Polisz. 238–253. Eredeti megjelenés: Dobson, Andrew – Eckersley, Robyn (szerk.) (2006): Political Theory and the Ecological Challenge. 20–34. Bahro, Rudolf (1982) Socialism and Survival. London: Heretic Books. Bahro, Rudolf (1984): From Red to Green. In: From Red to Green. London, Verso. Barca, Stefania (2014): Environmentalists and workers of the world, unite! Benton, Ted (1989): Marxism and natural limits: an ecological critique and reconstruction. New Left Review No. 178. 51–86. Benton, Ted (1996): The Greening of Marxism. New York, Guilford Press. Bookchin, Murray (1982): The Ecology of Freedom: The Emergence and Dissolution of Hierarchy. Palo Alto, Chesire. Bookchin, Murray (1990): Ecologizing the dialectic. In: Clark, John P. (szerk.) (1990): Renewing the Earth: The Promise of Social Ecology. London, Green Print 202–219. Bookchin, Murray (1995): Communalism: the democratic dimension of anarchism. Democracy and Nature, Vol 3., No 2. 1–17. Callaghan, John (2000): Environmental Politics, the New Left and the New Social Democracy. The Political Quarterly 71 (3). 300–308. Deleage, Jean-Paul (1989): Eco-Marxist critique of political ecology. Capitalism, Nature, Socialism, 3, 15–31. Dickens, Peter (1992): Society and Nature: Towards a Green Social Theory. New York, Harvester Wheatsheaf. Dickens, Peter (2002): A Green Marxism? Labor Processes, Alienation, and the Division of Labor. In: Dunlap, Riley E. – Buttel, Frederick H. – Dickens, Peter – Gijswijt, August (szerk. ): Sociological Theory and the Environment. Classical Foundations, Contemporary Insights. Lanham – Boulder, New York – Oxford, Rowman and Littlefield. 51–72. Giddens, Anthony (2008): The politics of climate change. National responses to the challenge of globalwarming. Policy Network Paper. Giddens, Anthony (2009): The Politics of Climate Change. Cambridge – Malden, Polity Press. Gimenez, Martha E. (2000): Does Ecology Need Marx? Organization & Environment, Vol. 13, No. 3. 292–304. Gorz, André (1980): Ecology as Politics. Black Rose Books Ltd.
Habermas, Jürgen (1984): The Theory of Communicative Action. I: Reason and the Rationalization of Society. Boston, MA, Beacon. Habermas, Jürgen (1987): The Theory of Communicative Action. II: Lifeworld and System. Boston, MA, Beacon. Harvey, David (1993): The nature of environment: the dialectics of social and environmental change. The Socialist Register, Vol. 29. Harvey, David [(1996) 2009]: A társadalmi és környezeti változások dialektikája. In: Scheiring–Jávor (szerk.) (2009): Oikosz és Polisz. 151–186. Kropotkin, Pjotr (1899): Fields, Factories and Workshops Tomorrow. London, Freedom Press. Kropotkin, Pjotr (1902): Mutual Aid. London, Freedom Press. Löwy, Michael (2005): What Is Ecosocialism? Capitalism, Nature, Socialism, Vol. 16. No. 2. 15–24. Löwy, Michael (2006): Eco-socialism and democratic planning. In: Panitch, Leo – Leys, Colin (szerk.) (2006): Coming to Terms with Nature: Socialist Register 2007. Frenwood Publishing, Halifax. Martell, Luke (1994): Ecology and Society. Cambridge, Polity Press. Martinez-Alier, Huan [(2002) 2009]: Irányzatok a környezeti mozgalomban. In: Scheiring–Jávor (szerk.) (2009): Oikosz és Polisz. 27–45. Eredeti megjelenés: Martinez-Alier, Huan (2002): Currents of Environmentalism. In: The Environmentalism of the Poor. Cheltenham, Edward Elgar. 1–25. Martinez-Allier, Joan (1990) Ecological Economics: Energy, Environment and Society. Oxford, Blackwell. Marx, Karl ( 1955): A tőke. A politikai gazdaságtan bírálata. I. kötet. Budapest, Szikra. Mellor, Mary (2006): Socialism. In: Dobson, Andrew – Eckersley, Robyn (szerk.) (2006): Political Theory and the Ecological Challenge. 35–50. Miliband, Ralph (1994): The plausibility of socialism. New Left Review, 206 (July/August). Nozick, Robert (1974): Anarchy, State, and Utopia. New York, Basic Books. O’Connor, James (1988): Capitalism, Nature, Socialism: A Theoretical Introduction. Capitalism, Nature, Socialism, Fall, 1988. 11–38. O’Connor, James (1991): Socialism and ecology. In: Conference Papers by James O’Connor, Santa Cruz: Capitalism, Nature, Socialism/Centre for Ecological Socialism Pamphlet No. 1, 29–40. O’Connor, James (1996): The second contradiction of capitalism. In: Benton, Ted (szerk.) (1993): Natural Relations: Ecology, Animal Rights and Social Justice. London, Verso. O’Connor, James (1997): Natural Causes: Essays in Ecological Marxism. New York, Guilford Publishers. Parsons, Howard L. (1977): Marx and Engels on Ecology. London, Greenwood. Pepper, David (1993a): Anthropocentrism, humanism and eco-socialism: a blueprint for the survival of ecological polities. Environmental Politics, 2 (3), 428–452. Pepper, David (1993b): Eco-Socialism: From Deep Ecology to Social Justice. London – New York, Routledge. Plumwood, Val ( 2009): Feminizmus – ökofeminizmus. In: Scheiring–Jávor (szerk.) (2009): Oikosz és Polisz. 187–215. Ryle, Martin (1988): Ecology and Socialism. London, Radius. Standing, Guy (2011): The Precariat. The New Dangerous Class. London – New York, Bloomsbury Academic. Standing, Guy (2012): Prekariátus. Lakosokból állampolgárok? Fordulat, 2012/3. 28–51. Vaillancourt, J.-G. (1992): Marxism and ecology: more Benedictine than Franciscan. Capitalism, Nature, Socialism, 3 (1), 19–35. Weston, Joe (szerk.) (1986): Red and Green. London, Pluto. Wollstonecraft, Mary (1982): A Vindication of The Rights of Women. London, Dent. Biermann, Frank – Betsill, Michele M. – Gupta, Joyeeta (2009): Earth system governance: people, places and the planet. Science and implementation plan of the earth system governance project, ESG Report No. 1. Bonn, IHDP: The Earth System Governance Project. Boda Zsolt (2004): Globális ökopolitika. Helikon Kiadó. IPCC (2014): Fifth Assessment Report (AR5). IPCC (2014): Climate Change 2014: Impacts, Adaptation,and Vulnerability. Jávor Benedek – Németh Krisztina (2008): Reformok,megszorítások, és a környezetvédelem hatósági rendszerex. Politikatudományi Szemle, 3. 35–60. Kaufmann, Daniel – Kraay, Aart – Mastruzzi, Massimo (2010): The WorldwideGovernance Indicators: Methodology and Analytical Issues. World Bank Policy Research Working Paper No. 5430. Lemos, M. C. – Agrawal A. (2006): Environmental governance. Annual Review of Environment and Resources 31, 297–325. Paavola, Jouni (2007): Institutions and environmental governance: a reconceptualization. Ecological Economics 63 (1), 93–103. Bohman, J. (1997): Deliberative Democracy: Essays on Reason and Politics. MIT University Press. Budge, Ian (1996): The new challenge of direct democracy. Cambridge, Polity Press. Budge, Ian (2000): Deliberative Democracy versus Direct Democrac – plus political parties. In: Saward, Michael (szerk.) (2000): Democratic Innovation: Deliberation, Representation & Association. London, Routledge. 195–212. Elster, J. (1998): Deliberative Democracy. Cambridge, UK, Cambridge University Press. Pataki György (2007): „Bölcslaikusok.” Társadalmi részvételi technikák a demokrácia szolgálatában. Civil Szemle 3–4. 144–156. Pateman, Carol (1970): Participation and democratic theory. Cambridge, Camb–Typotex. Sólyom László (1986): A társadalom részvétele a környezetvédelemben. Medvetánc, 1985/4–1986/1, 217–242. Szabó Máté (szerk.) (1999): Környezetvédelmi civil kezdeményezések Magyarországon (1988-1998). Villányi úti könyvek. Bramwell, Anna (1989): Ecology in the Twentieth Century. New Haven, Yale University Press. Carson, Rachel (1995): Néma tavasz. Budapest, Katalizátor Iroda. Dobson, Andrew (2007): Green Political Thought. London – New York, Routledge. Dobson, Andrew ( 2009): Stratégiák a zöld változásért. In: Scheiring–Jávor (szerk.) (2009): Oikosz és Polisz. 600–620. Eredeti megjelenés: Dobson, Andrew (1998): Strategies for Green Change. In: Dryzek, John S. – David, Schlosberg (szerk. ): Debating the Earth: The Environmental Politics Reader. Oxford, Oxford University Press, 539–556. Dobson, Andrew – Eckersley, Robyn (szerk.) (2006): Political Theory and the Ecological Challenge. Cambridge, UK, Cambridge University Press. Dryzek, John S. ( 2009): Politikai és ökológiai kommunikáció. In: Scheiring–Jávor (szerk.) (2009): Oikosz és Polisz. 581–599. Eredeti megjelenés: Dryzek, John S. (1996): Political and Ecological Communication. In: Freya, Mathews (szerk. ): Ecology and Democracy. London, Frank Cass, 13–30. Eckersley, Robyn (1992): Environmentalism and Political Theory: Toward an Ecocentric Approach. London, UCL Press. Ehrlich, Paul R. (1968): The Population Bomb. Sierra Club/Ballantine Books. Elliott, Lorraine (2004): The Global Politics of the Environment. Basingstoke, Macmillan. Hardin, Garrett (1968): The Tragedy ofCommons. Science, 162 (13) 1243–1248. Hardin, Garrett (1977): Living on a Lifeboat. In: Hardin, Garrett – Baden, J. (szerk.) (1977): Managing the Commons. San Francisco, Freeman. Hay, P. R. (1988): Ecological values and western political traditions: From anarchism and fascism. Politics, 8 (2) 22–29. Jávor Benedek (2001): Aldo Leopold és aleopoldi etika. Cédrus, április. Lányi András (2012): Az ökológia mintpolitikai filozófia. Politikatudományi Szemle, 1. 105–130. Lányi András – Jávor Benedek (szerk.) (2005): Környezet és etika. Budapest, L’Harmattan. Lovelock, James (1979): Gaia. Oxford – New York, Oxford University Press. Lukács András – Pavics Lázár – Kiss Károly (2008): Az államháztartás ökoszociális reformja. Levegő Munkacsoport, Budapest. Meadowcroft, James [(2001) 2009]: Zöld politikai perspektívák a huszonegyedik század hajnalán. In: Scheiring–Jávor (szerk.) (2009): Oikosz és Polisz. 331–352. Eredeti megjelenés: Meadowcroft, James (2001): Green Political Perspectives in the Dawn of the Twentyforst Century. In Freeden, Michael (szerk. ): Reassessing Political Ideologies: The durability of dissent. London. Routledge, 175–192. Meadows, Donella H. et al. (1972): The Limits to Growth. New York, Basic Books. Ophuls, William (1976): Ecology and the Politics of Scarcity. San Francisco, Freeman. Porritt, Jonathon – Winner, Nicholas (1988) The Coming of the Greens. London, Fontana. Redclift, Michael (1987): Sustainable Development. London, Routledge. Roszak, Theodore (1970): The Making of a Counter Culture. London, Faber. Roszak, Theodore (1979): Person/Planet. London, Gollancz. Sale, Kirkpatrick (2000): Dwellers in the Land: The Bioregional Vision. Athens – London, The University of Georgia Press. Scheiring Gábor – Jávor Benedek (szerk.) (2009): Oikosz és Polisz. Zöld politikai filozófiai szöveggyűjtemény. Budapest, L’Harmattan. Vincent, Andrew ( 2009): Ökologizmus. In: Scheiring–Jávor (szerk.) (2009): 257–297. Eredeti megjelenés: Vincent, Andrew (1992): Modern Political Ideologies. Oxford, Blackwell. 208–237. White, Lynn ( 2005): Ökológiai válságunk történeti gyökerei. In: Lányi András – Jávor Benedek (szerk.) (2005): Környezet és etika. Budapest, L’Harmattan. Williams, Raymond (1986): Towards 2000. Harmondsworth, Pelican. Jávor Benedek (2004) (szerk. ): Felelősségünk a teremtett világért – Egyházi dokumentumok az ökológiai válságról. Védegylet.